Artículo ​​# 297899 Puntos Stash: 3495 (?) This is the number of points you get in The Zumiez Stash for purchasing this item. Stash points are redeemable for exclusive rewards only available to Zumiez Stash members. To redeem your points check out the rewards catalog on thestash.zumiez.com. For almost a decade, Vancouver-based Herschel Supply Co. has been defining themselves as tier above in their industry, making high-quality goods designed to last for seasons to come. 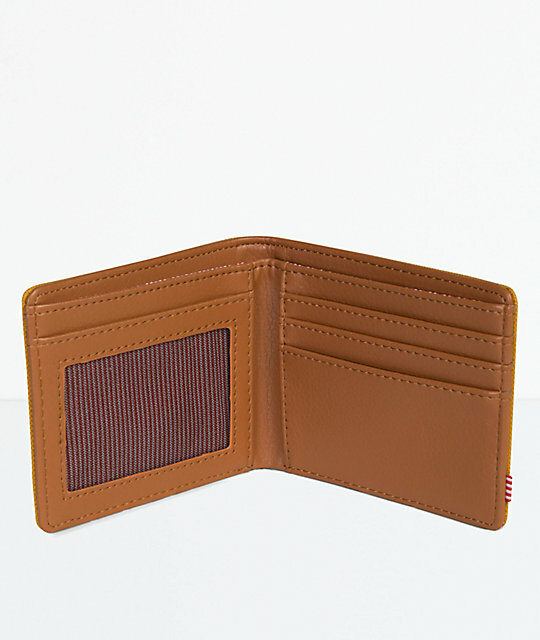 This edition of the Hank bifold wallet comes with a vivid goldenrod canvas exterior while the leather-lined interior encases multiple card slots, an ID window and an ample currency sleeve to keep all your cash and cards in one compact place. 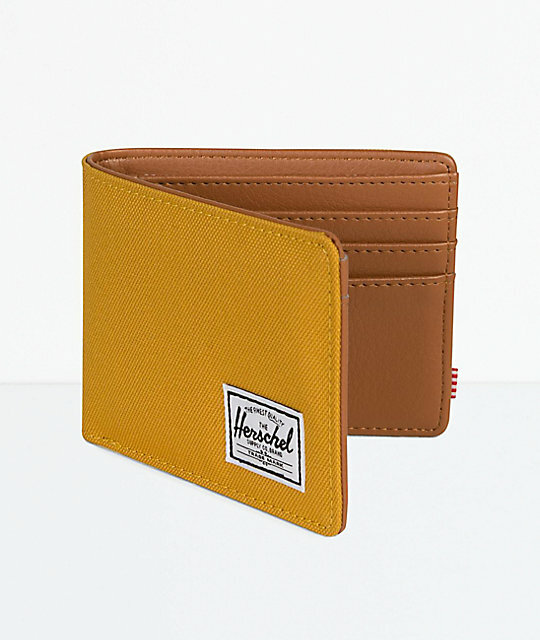 Hank Arrowwood & Tan Bifold Wallet from Herschel Supply Co.
Goldenrod canvas exterior with a tan leather interior. ID slot with a transparent window. 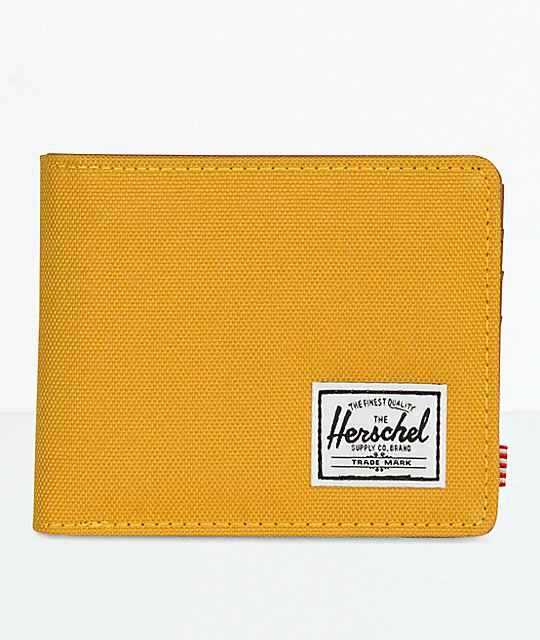 Herschel Supply Co. logo detailing throughout. 100% polyester exterior with a leather interior. Limited lifetime warranty against defects in manufacturing.